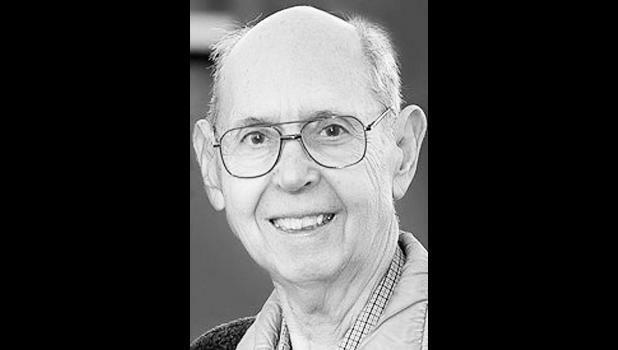 Andrew Leon “Andy” Bowser, 84, of Manhattan, passed away Friday, Dec. 7, 2018. Andrew was born Feb. 7, 1934, in Holton, the son of Andrew E. and Margaret A. Ernst Bowser. He married Shirley Jean Higgins on Aug. 31, 1958, in Holton. Andy graduated from Holton High School in 1952 and completed barber school following graduation. He was in the United States Navy, stationed at Hawaii from 1953-55. Andy was barbering primarily in Manhattan and some in Topeka. Andy is survived by his daughter, Catherine “Cathy” Marie (Eric) Cowger of Kansas City, Mo. ; brother, Allen (Sharon) Bowser of Holton; three grandsons, Christopher “Chris” (Judy) Cowger of Liberty, Mo., Phillip “Mike” (Megan) Cowger of Parkville, Mo., and Ian Cowger of Gladstone, Mo. ; and four great-granddaughters Madison, Claire, Avery and Charlotte Cowger; and two stepgreat-grandsons, Christopher Hale and Gerad Hale. Andy was preceded in death by his parents Andrew and Margaret Bowser and his wife Shirley Bowser. Visitation will be held at 1 p.m. Saturday, Dec. 15 at Mercer Funeral Home in Holton, with services immediately following. Burial will be in Holton Cemetery.